The Game Boy Advance had some great games. In addition to portable versions of great console games like Mario Kart: Super Circuit, there were also lots of great original games like Metroid: Fusion and Final Fantasy Tactics Advance. Unfortunately, none of them have been ported to modern hardware. Thankfully, someone’s been working on a handy mod kit so the Game Boy Advance can be played on modern HD displays. 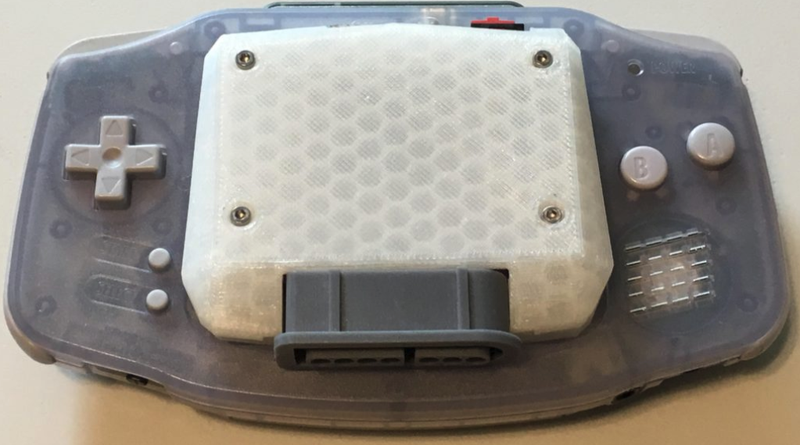 Stephen Williams, who goes by Woozle on YouTube, has been hard at work on the GBA Consolizer, a FPGA-based (field-programmable gate array) adapter that goes on the front of the handheld and lets it output through a mini HDMI connector at a resolution of 1280x720. The processing is done by a circuit board in the adapter and is supposed to produce “reference level quality” HD images without any sort of lag, and according to a recent hands-on demo and review by the modding site RetroRGB it does exactly that. The adapter replaces the GBA’s LCD screen, so while Williams has described his mod kit as requiring only very basic soldering, it’s effectively a one way trip. The upshot is a GBA that outputs to HD TVs. You can control the games using the buttons on the modded GBA or you can plug in SNES controllers as well as modern ones like the Switch Pro controller thanks to a slot for an 8Bitdo retro receiver. Williams, who is currently pursuing a PhD in electrical engineering at the University of Central Florida, and only mods consoles on the side, has put up several test videos on his YouTube channel, including one for Castlevania: Harmony of Dissonance. It’s fast and crisp, just like you probably remember it if you played the game when it came out 16 years ago, rather than how it actually looked and played on the GBA’s hazy, non-backlit 240×160 display. The Consolizer basically gives the GBA a modern equivalent to the Nintendo Switch’s docked mode. According to Williams it even has some improvements over past accessories that tried to do that, like Nintendo’s official Super Game Boy adapter for the SNES and the Game Boy Player for the GameCube, since the Consolizer is locked to the GBA’s frame-rate. Currently the kits only work for GBAs that use 40-pin ribbons (something that’s indicated by a serial number shown underneath where the batteries go), but Williams is also working on a version for 32-pin ribbons (which typically a little harder to mod). Williams tweeted out that there are 100 finished that he’s recently sold via a lottery system, but once they’ve been out in the wild and tested by more people, he plans on sourcing a larger batch of Consolizers to begin selling early next year. And since Nintendo hasn’t revealed whether it plans to start adding games beyond the NES library to the Switch Online app, this currently looks like one of the only good ways to re-experience the Game Boy Advance’s excellent back catalogue in HD.